This week I wrapped up my Garter Stitch Hat project. Hooray! I worked with my talented friend, Jason Hooten from Midwest Focus to get photos taken of the finished product. It was so much fun and I can't believe how great the photos look. We're putting the finishing touches on the photos and then I will get the pattern posted and the hats will be for sale. 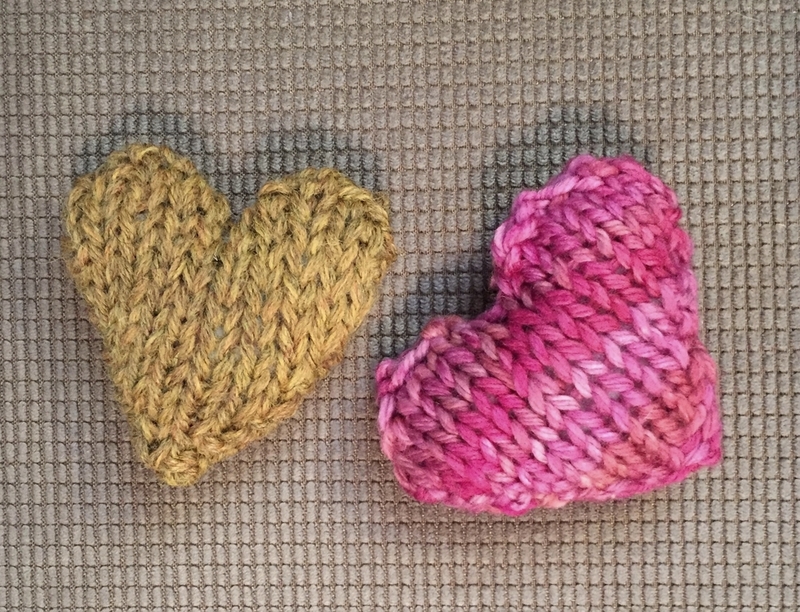 I started a new project for a cute ear flap hat and I also made a couple cute little stuffed hearts. My Granny Squares class has been moved to November 19th, so there is still time to sign up. I also have Crochet 101: Introductory Crochet coming up, as well.